For decades, John Lord’s mission has been to use research and education to create positive change in human services and communities, so that vulnerable citizens can achieve full citizenship, participation, and equality. Inclusion and belonging are central to this mission. 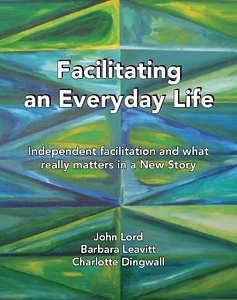 As a community researcher, author, and facilitator, John Lord has extensive experience with social inclusion. John has coined the phase “New Story” to describe the values, principles, and strategies that are guiding new approaches to supporting vulnerable citizens in community. In 2018, John Lord was awarded the Order of Canada for his significant contributions to Canada through community based research, policy change, and New Story approaches. The New Story reflects the research and awareness of a new paradigm of support that include key elements, including individualized funding, independent facilitation, community engagement, strong family networks, and person-centred approaches. Use this website to find articles and ideas that can empower individuals, families, and communities to understand and to build the New Story. One of the most exciting aspects of the New Story is the role of independent facilitation. Independent facilitation refers to the idea that citizens who are excluded or vulnerable can benefit from someone (a facilitator) walking with them in their journey to claim an everyday life.